Camouflaged scorpionfish on a coral reef. 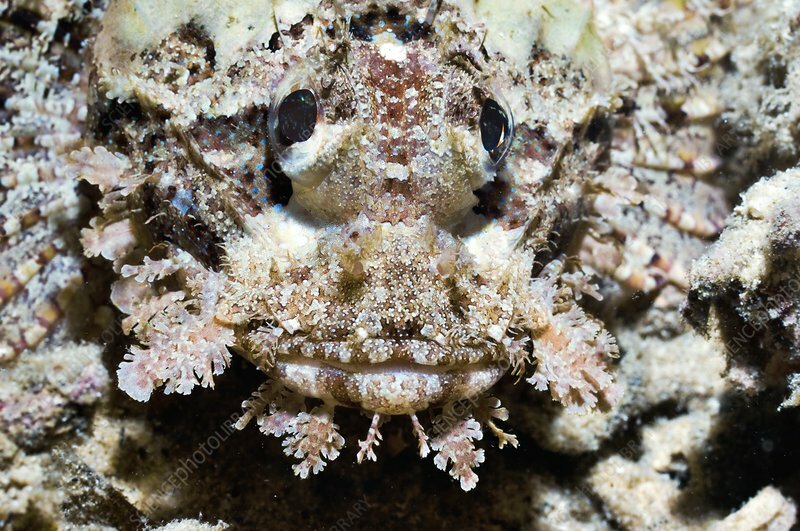 Many scorpionfish are extremely venomous. Most are found in the Indo-Pacific region.